Welcome to another piece where we’re be looking at the next generation of talents in Football Manager 2019. With the release of our ultimate list of the best Football Manager 2019 wonderkids comes this valuable appendix where we identifies the best young talents of Football Manager 2019. From the next Roberto Baggio to the next Slaven Bilic, and hundreds of other hot prospects and promising talents with great potential to reach international standard, our massive list of Football Manager 2019 best young talents provides you an excellent chance to spot the best football talents in the world worth watching for the future, ‘before’ anyone else! Spot the best young talents of Football Manager 2019 as Passion4FM identifies the most promising under-18 talents, which can lead your club to new heights in the future. Our passion and dedication for spotting the best talents in world football continues. Since the release of Football Manager 2019 we’ve worked hard to compile a massive list of the best under-18 talents in FM19, and now we’re ready to hand it to you. While the below list stand on its own as a great recommendation of youth talents within Football Manager 2019, since it reveals some hidden wonderkids and cheap bargains that you can sell for 100 times more 3 to 6 years into the future, we’ve also compiled a downloadable shortlist featuring nearly 800 youth prospects and promising youngsters. Our list of the best young talents can be regarded as page 2 of our FM19 wonderkids list as it focus on players with lower current abilities. Some might have the same potential as the wonderkids, others are a bit off. What resembles them all is that they all requires your attention to youth development, tutoring, more experience and improved skills to reach the same level as the wonderkids. Speaking in Football Manager terms, their current ability is a tad lower, but may become as good as them. This means that you’ll also find promising under-18 talents within the wonderkids list. Most of these promising talents that we’ve gathered below or in the shortlist, can be regarded as rough diamonds in the making as they would still improve their personality, skills and abilities, physic and consistency to reach the same level as those labelled as wonderkids at similar age. With a great setup of training facilities and perhaps managing one of the best youth academies in Football Manager, the chance of developing these talents into international stars are one step closer. Your attention to development are specifically required in order to get the most out of these talents. The benefits of targeting these promising talents are many. Not only the lowered cost of purchasing, their lower wage demands or the chance to shape them according to your own preferences and playing style, but the fun of following their career and ‘create’ a personal relationship with them are just some of the reasons why we recommend targeting these highly rated youngsters. In order to enable these youngsters to reach their maximum potential you should carefully take your time to assemble a 5 star coaching team. Our massive list of the best Football Manager 2019 coaches will definitely come to help. Here you’ll definitely find future national and international stars for a bargain price that you can easily make profit on! Identify the next Ronaldo, the future Paolo Cannavaro or the new Steven Gerrard by downloading our shortlist of Football Manager 2019 best young talents, or learn how to find the best wonderkids and talents for yourself in this tutorial. NOTE! Currently work in progress! We’ll continue to maintain and update this list until the release of Football Manager 2020. 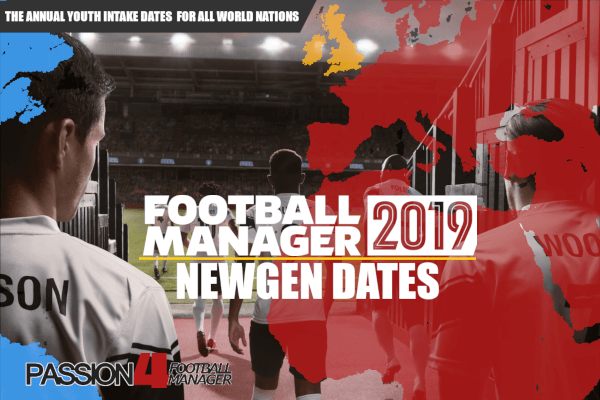 Download Passion4FMs massive shortlist of the best young talents of Football Manager 2019 and get to know hundreds of promising under-18 talents and current youth stars that we recommend you to keep an eye on in Football Manager 2019. Latest version includes 810+ Under-18 players from all over the world. … or if you already have a shortlist loaded, its name. Click the cog – Select Load Shortlist..
Click the Shortlist and Voilá!